Xiaomi’s Black Shark global website went live last month, hinting at an imminent launch outside of China. A recent report also hinted that the gaming smartphone will launch in Europe on November 16, and finally the smartphone has gone on sale in the region. The Black Shark global website has now listed the gaming phone for sale in Europe in varied colours and RAM + storage options. Separately, another gaming phone from Nubia – the Red Magic 2 – is also set to launch on November 28. Starting with the Xiaomi Black Shark, the gaming phone is listed in Black and Grey colour options in 6GB RAM + 64GB storage and 8GB RAM + 128GB storage options. Xiaomi is offering an EUR 30 (roughly Rs. 2,400) discount as part of the introductory launch offer, and is making the 6GB RAM variant available for EUR 469 (roughly Rs. 38,300), and the 8GB RAM variant is listed with the discounted price of EUR 519 (roughly Rs. 42,400). To recall, the Black Shark gaming phone was launched in China in April this year, and its price starts at CNY 2,999 (roughly Rs. 31,100) and goes up to CNY 3,499 (roughly Rs. 36,300). Some of the specifications include Snapdragon 845 SoC, Adreno 630 GPU, 6GB and 8GB RAM models, dual-rear camera setup with a 20-megapixel sensor and a 12-megapixel sensor, 20-megapixel selfie camera, 64GB and 128GB inbuilt storage variants, and more. Xiaomi has also introduced the Black Shark Helo smartphone in China recently, and global availability of this device still remains a mystery. 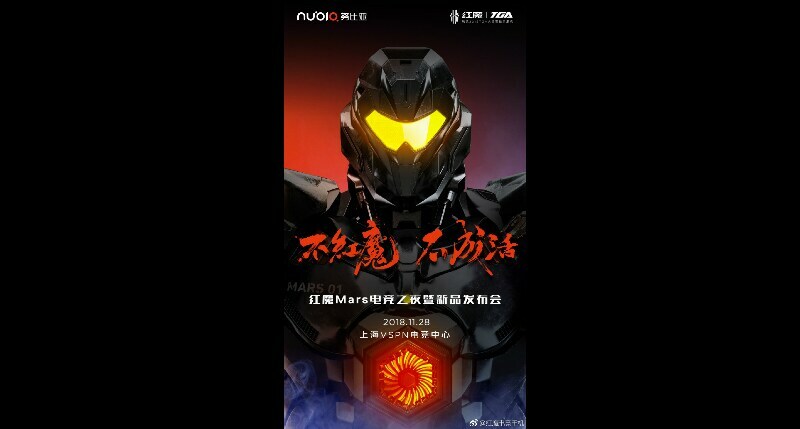 Separately, ZTE’s Nubia arm has now announced that the successor of the Red Magic gaming phone will launch on November 28. The company has taken to Weibo to now announce that the Red Magic 2gaming device will launch in China on November 28 at an event in Shanghai. The smartphone was up for crowdfunding since earlier this month, and has managed to earn a lot more than its intended goal. The new Red Magic 2 comes in a lone 10GB RAM/ 256GB inbuilt storage model and available for order priced at CNY 3,888. The crowdfunding campaign started on November 6 and will run till December 6. The exact price and availability of the device will be announced at the Shanghai event on November 28. In terms of specifications, the new Nubia Red Magic model runs Qualcomm Snapdragon 845 SoC. The gaming smartphone is equipped with 10GB of RAM and 256GB of inbuilt storage. The handset runs Red Magic OS based on Android 9 Pie. It features both liquid and air cooling that is claimed to increase CPU performance by up to 70 percent by reducing the temperature by up to 13.2-degrees. The company promises a 4D gaming experience in the new Nubia Red Magic handset. Users will get the real-time recognition that vibrates the smartphone to intelligent match over 40 game scenes. This means it will provide haptic feedback support for some Google Play titles. There is a DTS 7.1 channel along with 3D surround sound as well. The handset also comes with an RGB LED panel at the rear end.